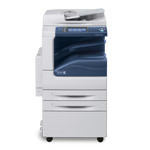 The Xerox® WorkCentre™ 3225 consolidates five key office functions – print, copy, scan, fax and email -- into one easy-to-use multifunction laser printer. Automatic two-sided printing and built-in Wi-Fi offer individual users and small work teams powerful tools at an affordable price. The WorkCentre 3335/3345 Multifunction Printer boosts productivity with the latest technology advantages, security features, and a host of built-in productivity tools designed to make your daily office tasks more efficient than ever. 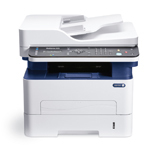 The Xerox® WorkCentre 3215 multifunction laser printer puts powerful tools in the hands of individual users or small work teams. 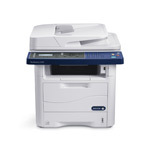 It makes office workflow more efficient by combining print, copy, scan, email and fax all in one compact device. 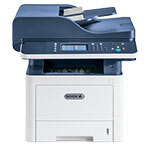 The Xerox WorkCentre 5945i/5955i multifunction printer, enabled by our latest-generation ConnectKey® Technology, easily streamlines how you communicate, process and share important information. 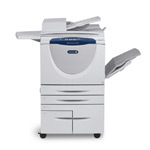 It simplifies complex, paper-driven tasks, and drives down costs while keeping your data secure. 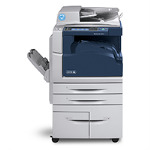 Designed with ease of use in mind, the WorkCentre 5945i/5955i's completely accessible paper path makes routine maintenance a breeze. 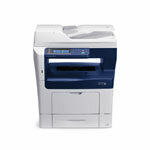 And Xerox Emulsion Aggregate (EA) Toner provides exceptional print and copy quality up to 1200 x 1200 dpi. The highly modular WorkCentre 5300 series multifunction printer gives today’s fast-paced office environments a critical productivity advantage. The tasks you perform daily become highly efficient, while more intensive workplace processes are optimized with customizable workflow solutions that easily handle your unique business requirements. 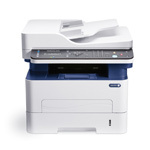 WorkCentre 5735/5740/5745/5755 multifunction printer provides the right tools for the work you do every day, plus advanced capabilities that help you work smarter, cost-effectively and more securely.